A,B,C,D,E,F or V to West 4th. 1843 and 1846 as two separate stables. gutted by fire in the mid 1960s. 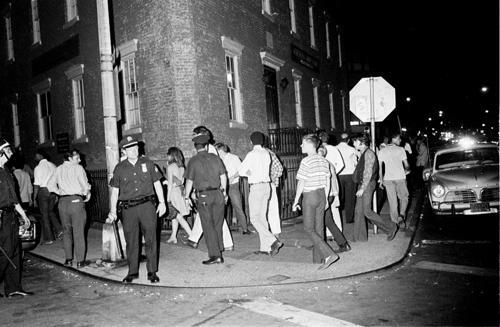 clubs at the time, police raids were common. 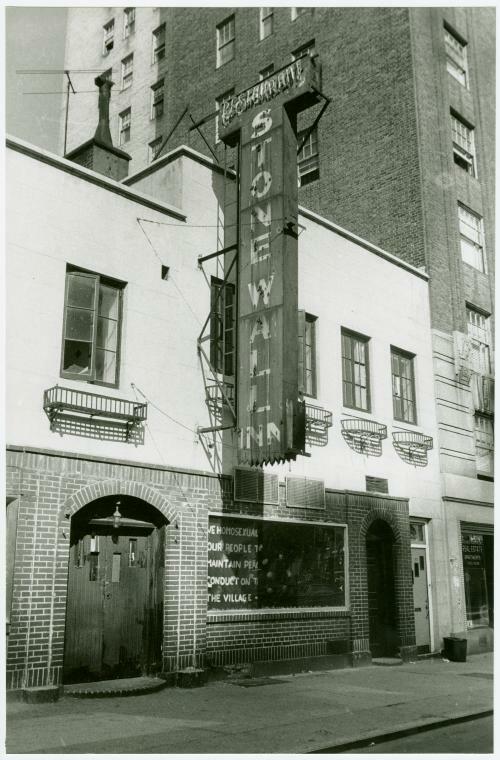 28 June 1969, The Stonewall Inn closed. celebrate and enjoy its rich history. 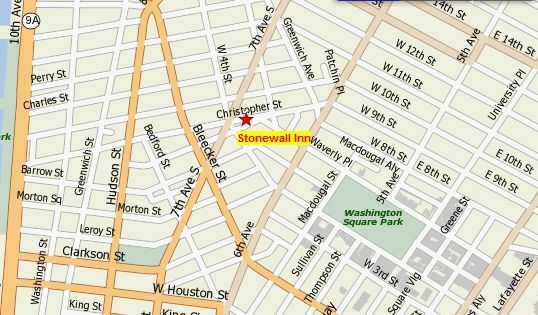 historic significance to gay and lesbian history. and portions of surrounding streets and sidewalks. 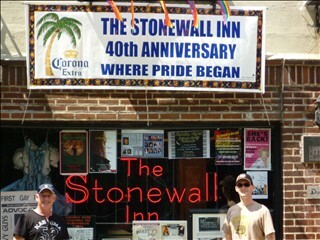 beginning of the modern GLBT rights movement. of continued harassment and arrests by police. 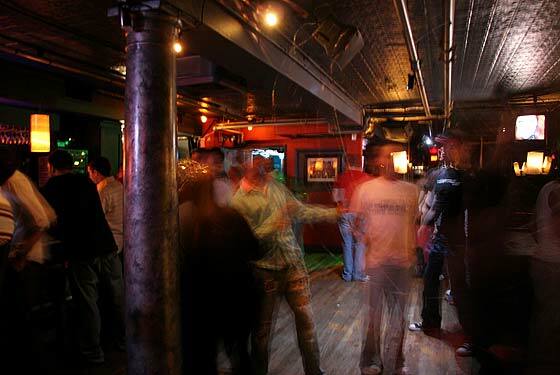 bars to refuse service to LGBT patrons. 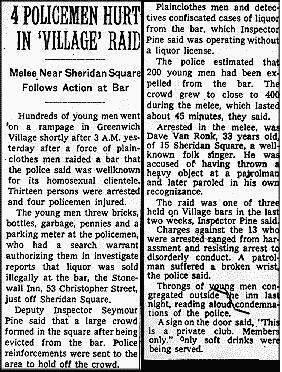 State Penal Code to refuse service to queer patrons. they could not touch each other while they danced. the purpose of committing a crime against nature." police officers, posing as regular bar patrons. Transgender people were openly arrested on the streets. help maintain peaceful and quiet conduct on the streets of the Village"
would warn LGBT patrons by turning on the lights. had taken place on Friday 27 June 1969. 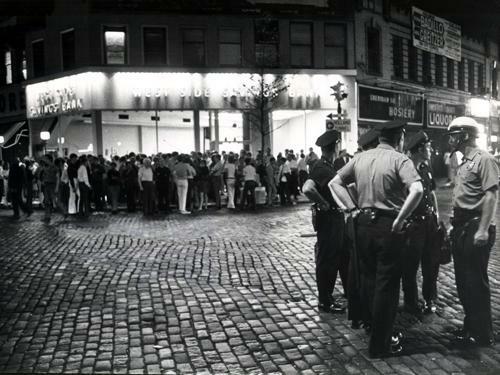 First District raided the Stonewall Inn. of bar staff and patrons were made. The butch lesbians and drag queens fought back. The bar patrons threw bottles and rocks at the police. along neighboring streets until Thursday 3 July 1969. South, West Fourth Street and Christopher Street. to discourage a repeat attack. Christopher Street, half block from the Stonewall Inn. more queer street youth joined in the uprising. 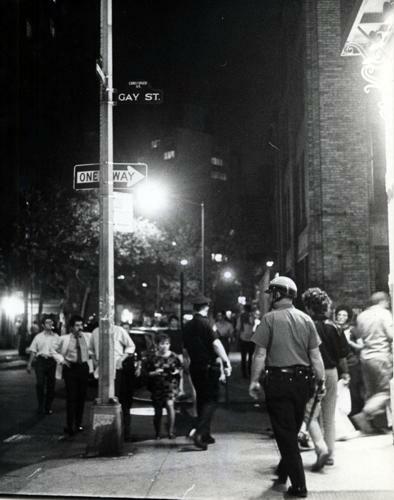 Wednesday, July 2, 1969, the sixth and final night of the Stonewall uprising. Tactical Patrol Force called in for the riots. neighborhoods (suburbs/districts) joined the riot. perhaps also as a gesture of defiance to the police. Rebellion were captured by the press or participants. to capture the atmosphere of the uprising. 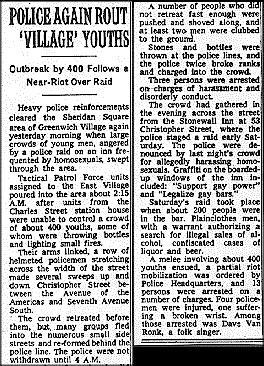 Gay Pride Parades and Fair Days as we know them today. already live there this is one bar that you should go to. A recent picture inside the ground floor bar. a very friendly venue full of character and charm. is there for the same reason as you. 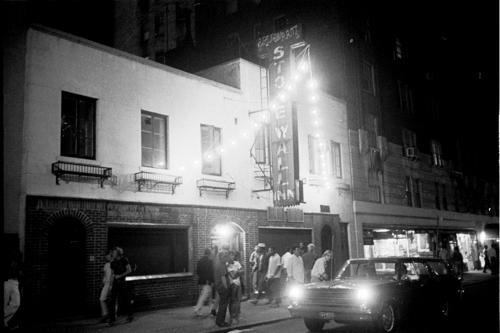 your feelings to vision that eventful night back in 1969.
the 40 year Stonewall anniversary on 28 June 2009. 40 years later and how things have changed. were involved in this momentous occasion in history. text and pictures in this article. here is correct as of 1 July 2018.
grateful as would the GLBT community worldwide. avoid email harvesters sending us spam mail.